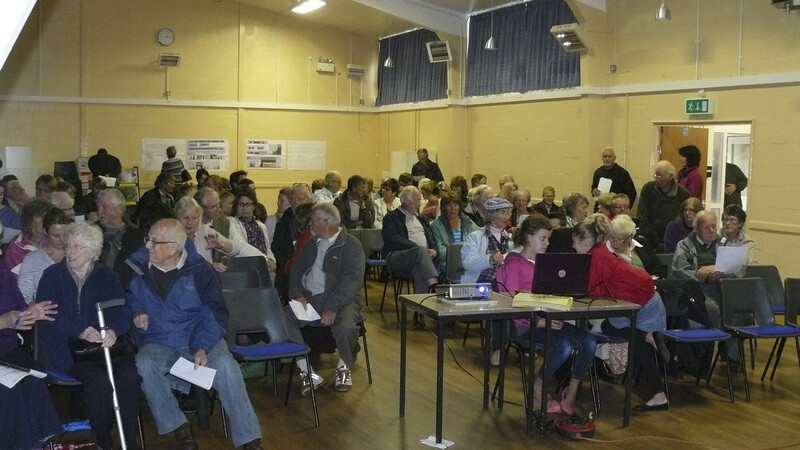 On Saturday the 14th of September at 3pm a meeting was held at the village hall to inform people fully about the proposed enormous ware house application to be built at the end of Harwell Road. This was lead in a very factual balanced way by Bill Hanks, a Parish Councillor of Sutton Courtenay. Many of us were horrified at the proposed size of the warehouse. This was brought home to us by a helium filled balloon held by a string the height of proposed building. Bill stated that the ware house would be only 53 yards from the nearest residential building and 150 yards from Sutton Courtenay Primary School. With an estimated 1,400 HGV’s moving into and out of the site each day, one can only imagine the air pollution! The increase of traffic on the A4130 and the A34 would be incredible! A suggestion was made that this ware house would be better sited where the cooling towers are now sitting but though this would help with pollution, it would not help with traffic congestion! He also had evidence of pollution on the actual site. Photographs of a badger at the sett and of a deer were also shown. Bill’s talk was highly informative and was appreciated by about one hundred people. Many questions were answered and people left well informed. Anyone who wishes to make a comment about this application has until the 20th of September. The site can be found here.